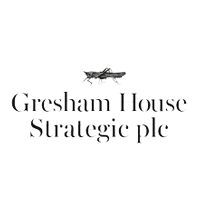 Gresham House Strategic plc (LON:GHS) has today announced that it has realised 42.2% of its holding in IMImobile plc (LON:IMI) for £9.6 million, which generated £4.96 million of profits for the Company. This realisation represented a 19% IRR and 2.13x money multiple, significantly above the company’s stated target return of 15% IRR. Following the sale, the Company has a resultant holding of 6.3% of the issued share capital of IMI.